What did you think of Even and Odd Numbers Part 1 ? 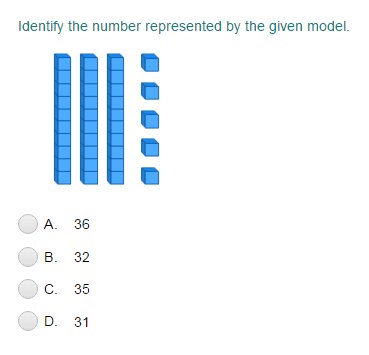 The number of objects is even if they can be matched in pairs. The number of objects is odd if they cannot be matched in pairs. For example: Let's identify if the number of triangles given below is even or odd. Make pairs of the given triangles. 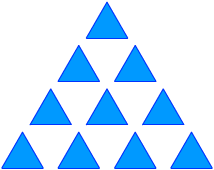 Here, we notice that the given triangles make 5 complete pairs. 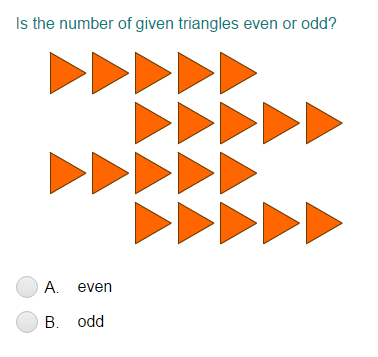 So, the number of given triangles is even.